Product #1889 | SKU AJA00148 | 0.0 (no ratings yet) Thanks for your rating! 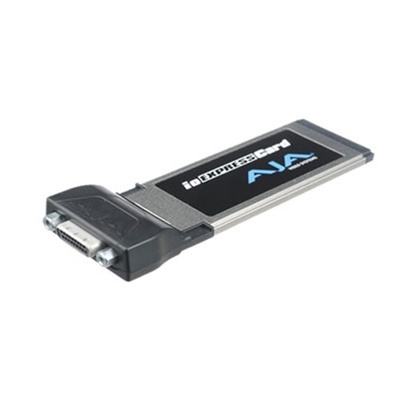 The AJA IoExpressCard is an ExpressCard34 PCIe to PCIe Cable Interface Adapter, which allows users to hook up the Io Express portable audio/video interface to a laptop, through the use of its ExpressCard 34 slot. When using the card inside a computer, users can transfer digital signals directly into their non-linear editing system.